Stay Tuned for the SSTP 2019 Program Schedule! 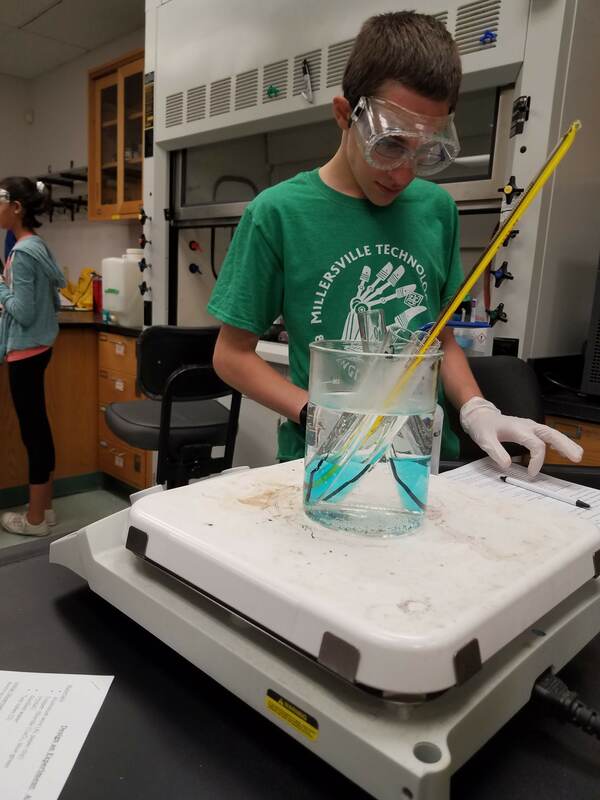 The Millersville University College of Science and Technology is pleased to sponsor the 33rd Annual Summer Science Training Program (SSTP). Two distinct five-day tracks of science and math workshops will be taught for different age groups consecutively, with each track consisting of 10 stimulating topics under the STEM umbrella. SSTP provides students with learning opportunities typically not available at the pre-college level through a wide range of academic disciplines and a focus on intensive student-teacher interaction, advanced-level learning, research and problem-solving experiences. The University encourages all academically talented students to include this engaging and enriching mathematics, science, and technology program in their summer schedule. Academically-talented students entering grade 8 through grade 12 in the Fall of 2019. Starting this year, we have revised our traditional program calendar to better accommodate our participants' busy summer schedules! Two five-day tracks will be available July 8-12, 2019 (Track 1) and July 15-19, 2019 (Track 2). During each track, students will be engaged in exciting hands-on activities during three-hour workshops from 9:00 a.m. to 4:00 p.m. The participants use the fully-equipped labs and classroom facilities in Millersville University’s Science and Technology Complex. Students can register for a track appropriate to their skill level, based on their grade as of fall 2019, and previous experience in the program, if applicable. It is recommended that students entering 8th-9th grades register for Track 1, while students entering 10th-12th grades register for Track 2. A fee of $250 per student per Track will cover supplies and instructional costs. Students are responsible for providing their own lunches. Please note that a $6 processing charge may be incurred depending on payment method. NOTE: Due to lab space and equipment, early registration is encouraged to ensure participation. Deadline for registration is May 29th.